$1,115 from 12 donors $1,000 goal met! I want to invite my family and friends to join me in participating in the “Celebrating the Heart of Soulumination” fundraising campaign for an organization that I feel very strongly about, Soulumination. Many of you might be aware that this wonderful organization celebrates the lives of children and parents facing life-threatening conditions by providing beautiful, professional, life-affirming photographs to the families of critically ill children and adults with children under the age of 18. 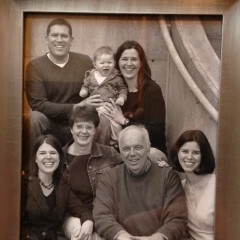 In 2007, Lynette took our family photos and this is when I first met Lynette and heard about her amazing work. I am compelled to support Soulumination in celebration of the 60th birthday of its founder Lynette Johnson, who last year faced her own battle with Lymphoma. My participation as a volunteer has allowed me to understand the impact that this organization has on these special individuals and families. Tell Gina why you this cause!